A few weeks ago I went to a show of work by independent artists and designers. I never know what to expect at these things, because often you see the same type of thing over and over. I like vintage charm necklaces as much as the next person, but I am always looking for something different. I love metal and gemstones, but Spanjer caught my eye because it is made of humbler materials, and the look is so organic yet sophisticated. I immediately thought of Iris Apfel and her layers of oversized beads and ethnic baubles. 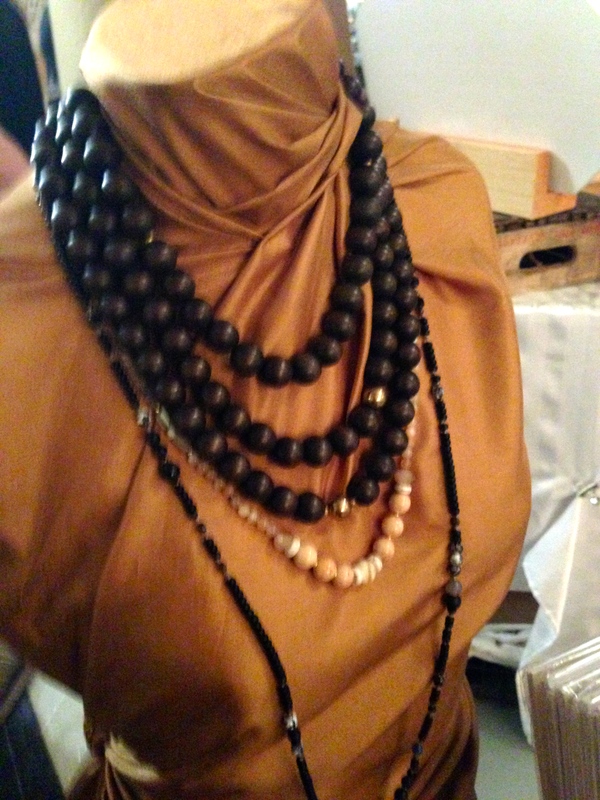 Designer Carlyn Janus only makes one collection of jewelry every year (Spanjer is her mother’s maiden name). 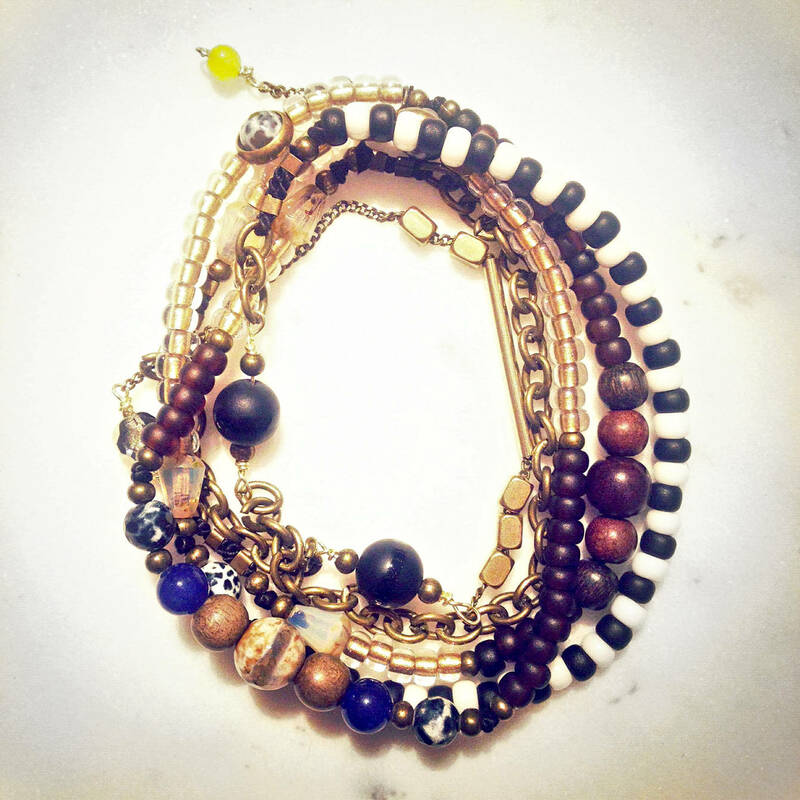 Before that, she sources materials according to a certain palette of colors and textures–mainly one-of-a-kind beads and stones.”I only work with natural materials like stone, wood, brass, and leather,” she says, but will make the occasional exception for “super cool” vintage plastic or plated beads. She starts working once she has assembled all of her materials. “I never really know what I will end up with,” she says. “Each piece forms itself in my hands, and that’s the exciting part.” Indeed, that is the mystical truth and purpose of the creative process–the journey and the effort, and not knowing the ending. Spanjer is just one of Carlyn’s creative efforts. She paints, does graphic design, takes photographs and more, sometimes with other people, under the name MUDPONY, her design collective. Contact her through her site if you’d like to see or learn more. This entry was posted in independent designers, stone and tagged beaded jewelry, beads, Carlyn Janus, independent designers, Iris Apfel, jewelry, MUDPONY, necklaces, Spanjer. Bookmark the permalink.